Earlier this year I travelled across the north of India including Delhi, Rajasthan & Lucknow. With a view to explore regions that I know offer some of the finest cuisine. I found the hospitality of the community in the north west of India in the region of Rajasthan is second to none. Having been to Jaipur, Jaisalmer and Jodhpur previously I was keen to explore the city of Udaipur. 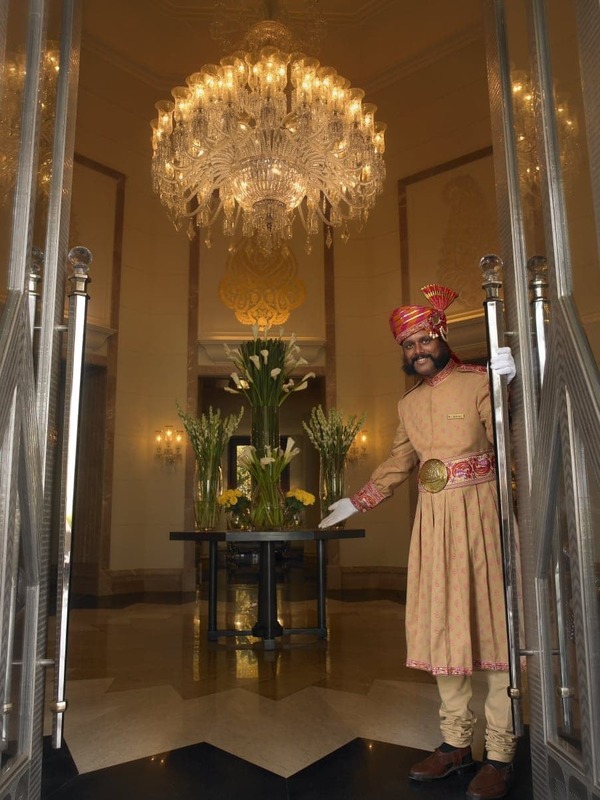 Udaipur known as the Mewar kingdom, surrounded by lakes with views of the stunning City Palace is a city that immersed me in its culture, cuisine and the locals. From the havelis, palaces, temples and the little narrow by lanes that lead up to local bazaars add to the cities old world charm. 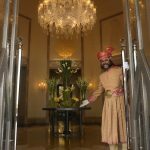 With stunning views of Lake Pichola, the Leela Udaipur was my home away from home while I took the opportunity to explore this wondrous place. 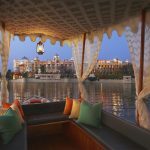 Getting to the Leela Udaipur via boat across the shores of City Palace and over looking Jag Mandir most felt like I’d started out on the right note. As much as I wouldn’t want to romanticize about each aspect during my stay; from start to finish it broke even the slightest hint of cynicism in me to appreciate every moment and savour it all. Soaking up the warm rays of sun and beginning each morning with chai. Views of the sprawling city, riding in the local rickshaws through the bazaar and sampling the street food that Udaipur is synonymous for. Some of my favourites include The Royal Repast run by the Bedla family. 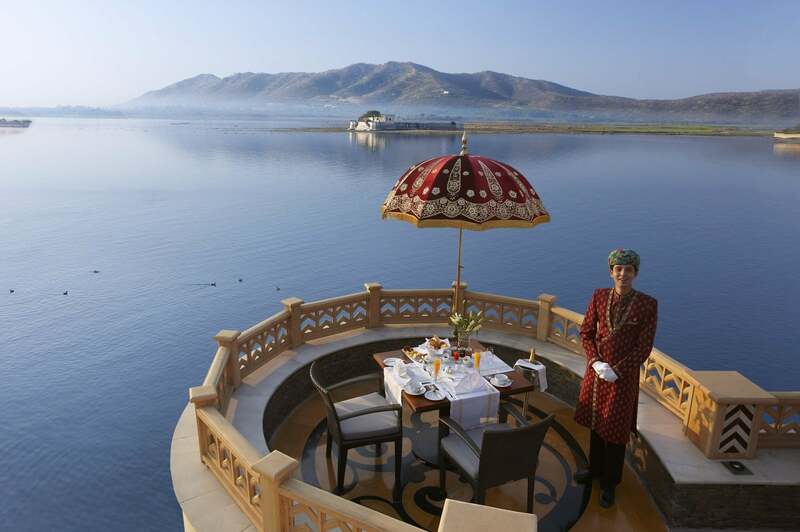 The history, culinary heritage and a stunning location of the Bedla House; this place is definitely one to book when you get to Udaipur. Murg Dahi Booth and spiced mutton cooked in earthen pots are a few of the gems that give a glimpse into the stellar menu. Find out more on their Facebook page. Sheesh Mahal at the Leela sampling a traditional thali with freshly made breads topped with ghee. 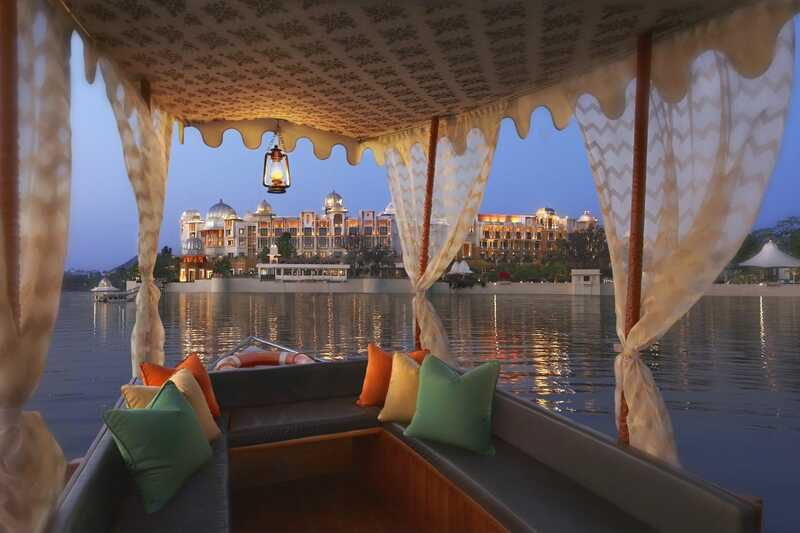 The setting of Lake pichola adds to what is an evening to remember with good food, beautiful location and stellar service. Being the street food addict it no trip would be complete without checking out the local delights including Aloo Bada near Fateh School a stall thats been running for 22 years and well known across the city. Pratapgarh ki Kachori sell the most delicious hing ki kachori topped with sweetened yoghurt and tamarind chutney. A family business run by the Aggarwal family. The menu also includes pani puri, dahi bade and chaat. You definitely can’t leave the city without trying Mirchi Badas at Manak Balaji. Filled with a potato crispy filling coated in a gram flour batter. Prepare to queue for these beauties served with fresh chutney. After all the bustle of the city coming back to my room, sipping chai while watching the world go by. Make time to experience the puja ritual the hotel organises in shiva temple, which is within the hotel periphery and is more than 150 years old. 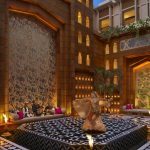 One of my favorite spaces within the Leela is the the Inner Courtyard housing a magnificent water fountain by the day, which turns into a splendid stage for Rajasthani folk performances by sunset amidst 120 lamps adorning the walls. Also not missing the opportunity to savour a spa treatment and soaking in the calm is what I call balance on a good holiday! 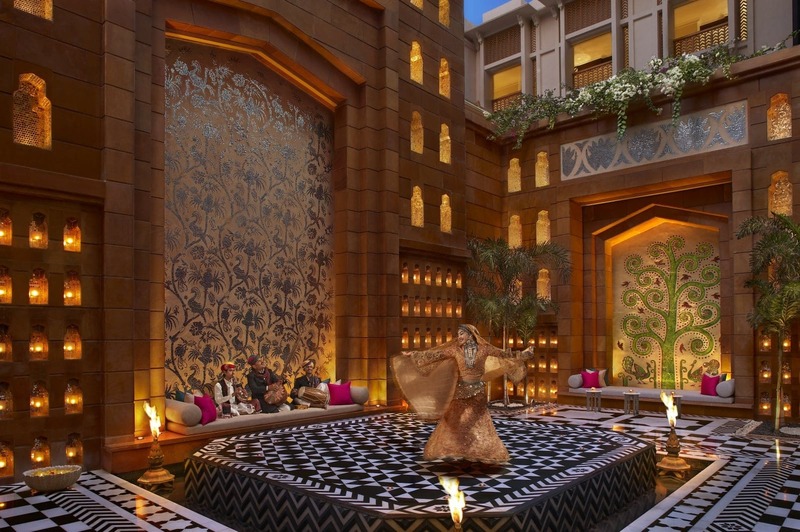 When it comes to luxury the Leela is undoubtedly setting standards of luxury and is a perfect balance of modern, effortlessly chic and yet with glimpses of traditional Rajasthani heritage.